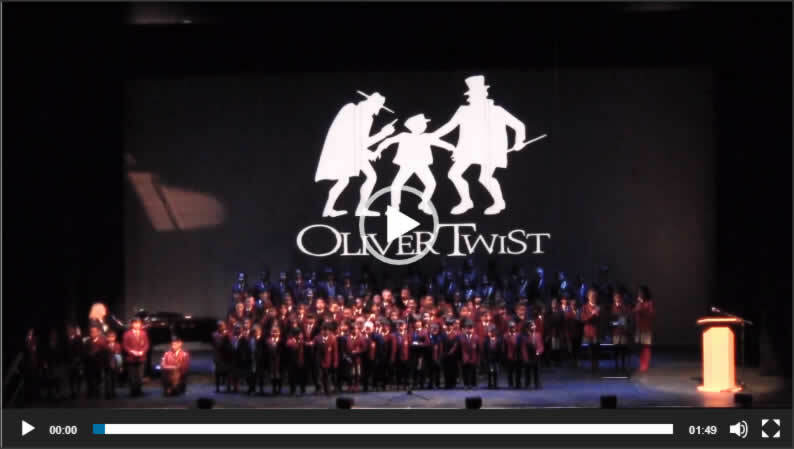 By common consent, the Oliver performance at the Grove Theatre on 6th February was without doubt the most outstanding production in the school’s history. The show itself was, in many ways, a giant leap for both pupils and the school. Never before had we sought to stage a performance that involved all of our pupils from 4 to 11 in a single production. Never before had we performed a show on the stage of a big outside professional theatre, in front of such a large audience. However, we felt that the time had arrived for us to ‘leave the comfort zone’ of previous year group-based productions and to try something much bigger, bolder and more ambitious. We were, of course, optimistic from the word go that such a feat was possible, knowing of the amazing reservoir of talent that exists in our pupils, both individually and collectively. The question now on everyone’s lips is where do we go from here? The answer is, without a doubt, ‘let’s top Oliver’! We are already in discussion with two theatrical licensing agencies in London with a view to securing a performance licence for a similar ‘high end’ production at the Grove Theatre in February 2019. We will let parents know more as soon as we have further news.